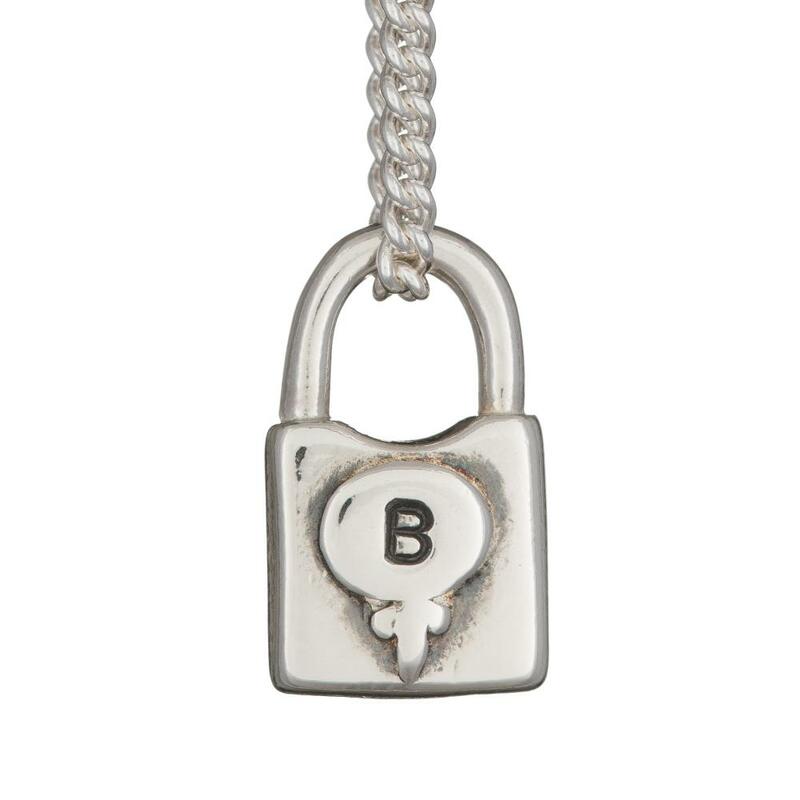 An absolute classic, this chunky little padlock charm is bound to make it into your everyday BMM Collection! 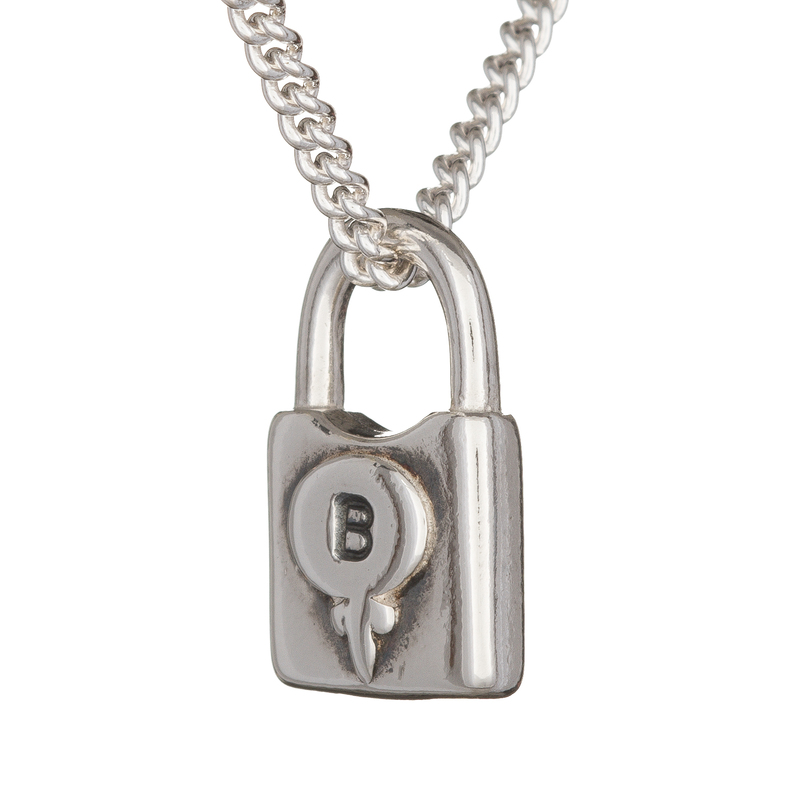 A simplistic padlock with filagree detail, oxidised to add depth and detail. 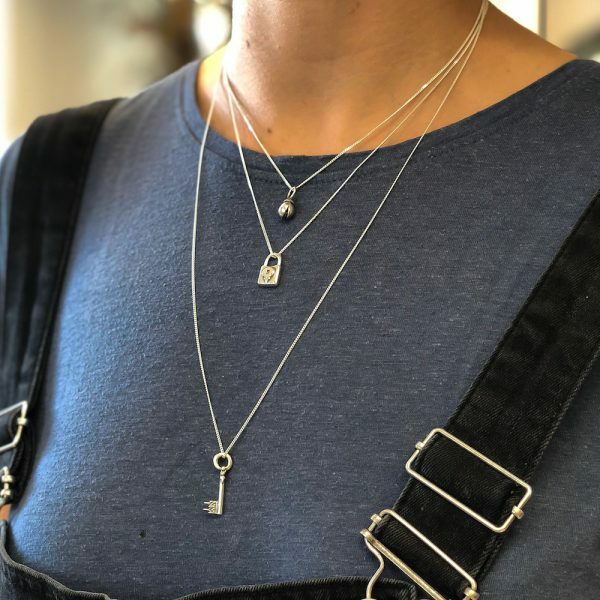 Hung from an 18″ diamond cut curb chain, slightly shorter than our usual, making her perfect for layering up with our other Light Side classics. 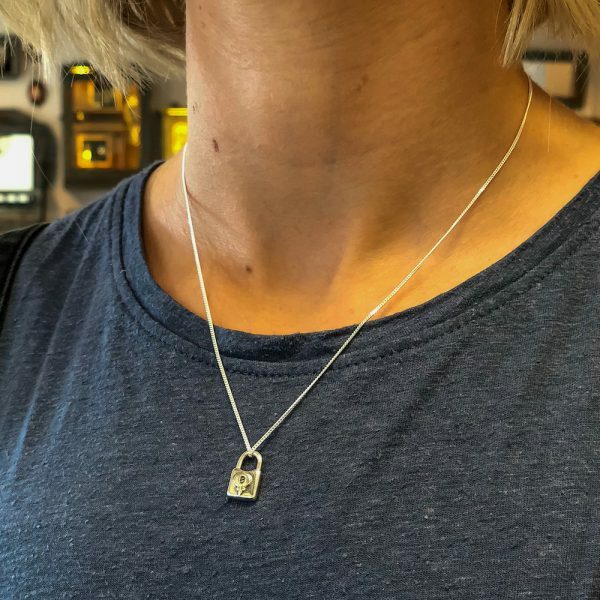 Choose your own initial or a special person’s (and when we say person, we all know you’re referring to your favourite feline!) Can’t pick a favourite, you could always wear two! Make sure to email us if you’d like Amor without a chain, if you’d prefer to cluster her with other charms! 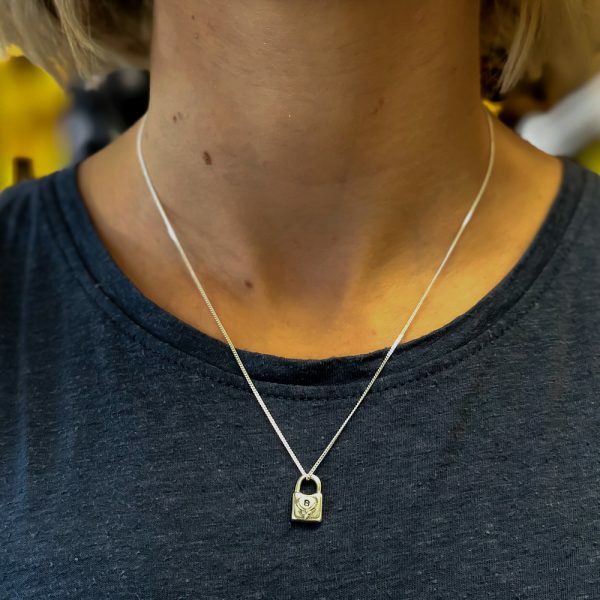 Why not check out our ‘See It In Action’s” at the bottom of the page to see how we’d wear ours! 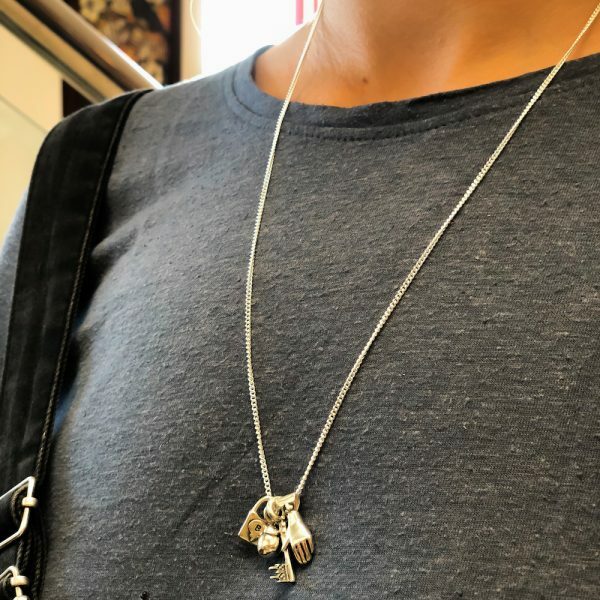 We currently cast Amor into sterling silver. Please email for 9 carat yellow or rose gold.